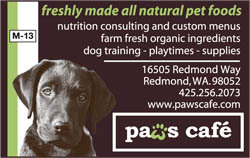 The Number One choice of many in Northwest Washington for both dog boarding and dog training. 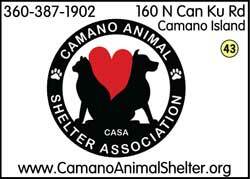 Camano Island Kennels is a full-service dog boarding and dog training facility situated on five acres of scenic Camano Island in the great Pacific Northwest. 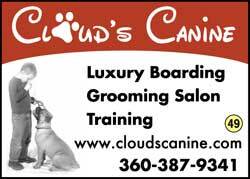 We�re a premier pet resort with luxury boarding for dogs and cats, full salon services, an outdoor dog park, canine cab services, and many training opportunities. You�ll find us located on ten tranquil acres of scenic Camano Island property just over an hour�s drive north of Seattle, Washington. It is here that our family resides, owns, and operates Cloud�s Canine which evolved from our active participation in the sport of purebred dogs and performance venues within the American Kennel Club. We�ve sought to prove ourselves to be compassionate in our care, knowledgeable in training, and reputable in our business. This has earned us an ever-growing list of loyal clients while receiving the recommendation of veterinarians and recognition by the American Kennel Club. 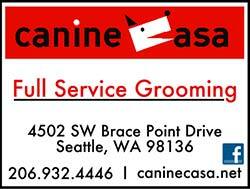 We welcome you to our family and invite you to enjoy the many services and opportunities that we offer for you and your pet. 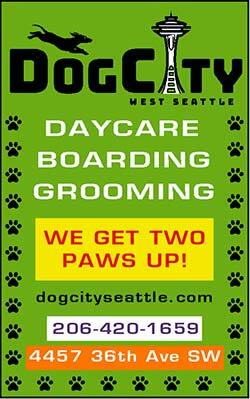 West Seattle's premier dog daycare, boarding & grooming salon. 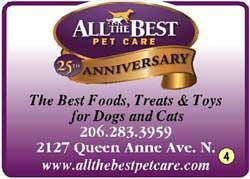 Pawki’s is your island pet resource. Food, accessories, toys, gifts & more. Pets welcome!